With a dedication to superior craftsmanship and ethical excellence, our team of specialists deliver a design that meets your specific needs, while communicating consistently throughout the entire remodeling process. You can feel secure that your project will be completed in the most efficient manner possible with minimal disruption to your life. Plus, our foundation in honest, ethical business practices makes us the professionals you can trust to give you the home you've always wanted. Say hello to the creative and passionate team and get to know the individuals who will work on your project. We’ve been married over 25 years and work very well with each other through excellent communications, respect and a good measure of patience. Originally from Long Island, NY, we have lived in the Charlotte area for over 10 years. We volunteer at cfa Church in Concord and we especially enjoy spending time with our three children: Anthony, Timothy and Dorothy Grace. Together, the Brausch family enjoys travel, theatre, dining out, cooking in, gardening, camping on the beach and in the mountains, and especially walking with our two dogs, Cooper and Westie. Rick has had the pleasure of remodeling kitchens and baths for over 30 years. To Rick, nothing is more rewarding than seeing the delight in his customer’s eyes when they see their dream turned into reality. His beginnings in the remodeling industry go all the way back to working for his father while in high school. After going to school for interior design, Rick quickly became an essential part of his father’s kitchen and bath remodeling business. Rick’s natural inclination for design combined with excellent carpentry skills learned with an apprenticeship with his father provide him the unique perspective to ensure a smooth transition from the design stage through the production of your remodeling project. Rick is a General Contractor licensed in North Carolina. 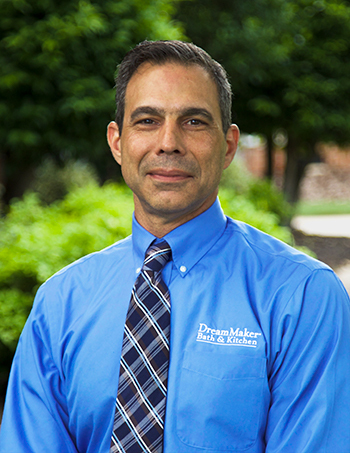 At DreamMaker, Rick is responsible for the design and management of your kitchen, bath or interior remodeling project. 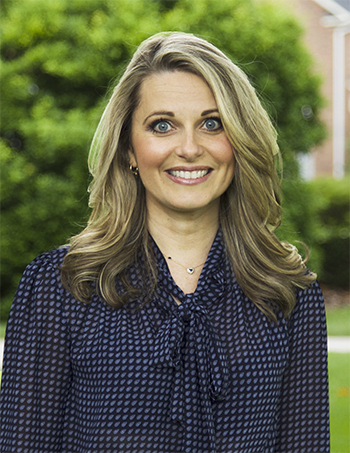 Heidi is a CPA with extensive experience in tax and accounting. She worked as an auditor for KPMG before she began working with small business and individuals providing tax and accounting services. She began in the kitchen and bath industry in 1999 when she started helping Rick’s parents with their kitchen and bath remodeling business. At first she was just helping out with finances, but soon became involved in designing because it became irresistibly fun for her. Heidi was interested in architecture and design early in her life, and even when determining a college major she was torn between Accounting and Architecture. Heidi’s attention to detail and pursuit of accuracy is essential for many aspects of a successful remodeling business. At DreamMaker, Heidi is responsible for managing the finances, administrative duties, marketing and reviewing design.